2014 will undoubtedly be a huge year for online gaming. Individuals interested in online first-person multiplayer action have been waiting patiently for Titanfall to become available, especially after its first magnificent outing at Gamescom last year. Thankfully, that wait is almost over with the latest teasing trailer for the much-anticipated title confirming that the initial beta program will kick off on St. Valentine’s Day, February 14th. Gamers who have been salivating with anticipation are now free to register their interest in the beta of Titanfall, which is due for an official worldwide release next month on March 11th. The four weeks or so until launch isn’t exactly a long time to wait to see the future of next-generation multiplayer gaming, but some of us simply cannot wait to taste the destruction that this man against mechanical might title will offer. Interested parties can head right on over to the dedicated beta sign-up page on the Titanfall website and provide all necessary details. We may only be into the second month of 2014 but Titanfall is already being talked about as one of the most anticipated games of the year and is definitely the one that is set to leave its mark. The title will offer fast-paced combat gameplay that affords gamers the luxury of playing as either an elite assault Pilot or a heavily armored and extremely destructive Titan. The game itself also comes from the minds of a number of individuals who were instrumental in creating the Call of Duty series and turning it into one of the most successful gaming franchises that we have ever seen. The launch of the beta, and the full game next month, is made even more exciting by the fact that Respawn Entertainment is a company that has been founded with the sole aim of creating this masterpiece. The initial beta will be made available on the Xbox One and PC platforms and will offer three different game modes to those that are lucky enough to get a pass. 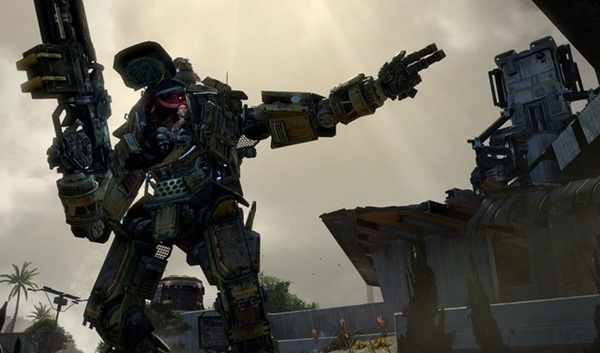 Vince Zampella, co-founder of Respawn, has been keen to stress that the Titanfall testing will be operated as a closed beta with only an unspecified amount of registered individuals getting an access code. Make sure to get over to the registration page right away if you’ve been waiting for this and good luck. 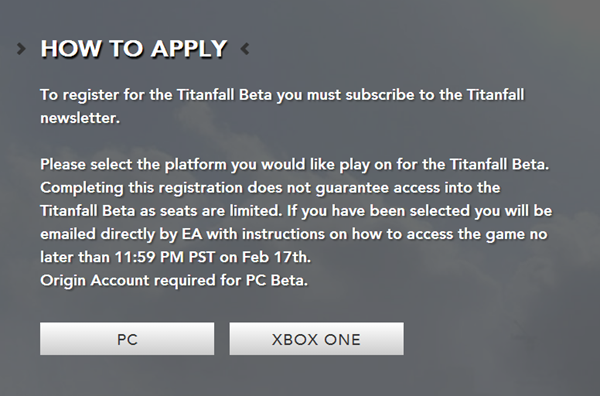 Simply point your browser to: titanfall.com/beta to get started.